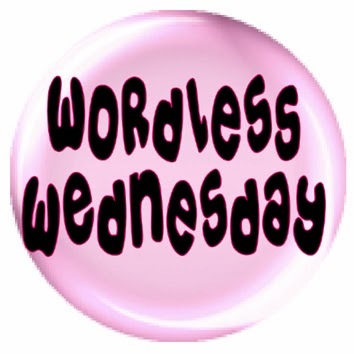 This entry was posted in Blog Hops, Wordless Wednesday and tagged Comedy Plus Wordless Wednesday, Emmy, Wordless Wednesday by pilch92. Bookmark the permalink. Daisy Mae and I just heard. We are so sorry to hear that you lost Marigold. We loved Marigold as we do your other cats. Take care. Ann of Zoolatry made it. We didn’t knw those kitties, but we send our purrs and licks to their furmilies. Its always hard to say those kinds of goodbyes. I loved reading all your answers, Emmy! But… what is a hanguger? I never hurt da humans either. Ya don’t beat up da food provider! So sorry you lost a couple of your friends dear Emmy. I wanna know what a hanguger is too – sounds good and I may need to start asking for one myself! Emmy, those are some terrific answers. We like them a lot.We so agree with the one that dumping cats should be illegal. Have a great day. So sad about Marigold and Ghost. Love the name of the new book! A book about Emmy? Heck yeah!!! I am sorry about the passing of your kitty friends, Emmy. Emmy thanks you, she is glad she gave you a chuckle. Aww! nice card and I liked Emmy’s answer’s heheh! We enjoyed those sweet Emmy! We’re sure sad about those who had to depart. I’m so sorry for these losses. Marigold is the perfect name. ~nods~ Thank you for sharing your answers. They made me grin. Be well! I put both kitties that passed into my Angel post on my navigation bar. Thanks for making that easy for me. I love your answers. You’re most wise. Love your answers and it’s great to hear that your mom is writing a book about you! Too sad about Angels Marigold and Ghost. May they Rest In Peace. Emmy, I think Spitty may already know, but I didn’t tell him! Emmy you did a great job on the answers. You have a very good, strong sense of self, Emmy. It will keep you going through unpleasant and unexpected times. So sad about Marigold and Ghost. but I love reading Emmy’sanswers! Sweet Emmy – I think you should have hanguger anytime you want! Daisy Mae And I didn’t know Ghost but we knew Marigold. Either way we are sorry to see them go to the Rainbow Bridge. Our furfriends are our friends and family. Emmy, i love your answers! We’re sorry about the loss of your friends. Emmy, we enjoyed your answers but we’re wondering what a hanguger is too. Great answers, Emmy! We’re definitely with you about that fourth one! So sad about Marigold and Ghost. Such beautiful kitties. I don’t think we can ever say ‘I love you, Mom & Dad’ enough. I hope you say it ten million times a day. You’ll be happy that you did and your mom & dad will be happy to hear it. You are gorgeous, why do you need beauty tips or are you just being sarcastic? 🙂 Thanks for joining me on not-so-WW and I enjoyed reading these little factoids – fun! Thank you. and Emmy thanks you. Thank you. XO and love to you all too. Great answers!!! We just came from Teddy’s blog and are sending you purrs and prayers. Thank you. XO and love to you too. I appreciate your friendship. My heart goes out to those who lost their fur babies. They leave us entirely too early. Emmy, your stunning facts made me smile. Hope you and mom are staying warm and cuddling a lot today. May all the angels rest in peace, until we meet again. Emmy, I cannot wait to read your book. Prancie’s book is phenomenal, and yours is guaranteed to be as well. Purrs and prayers to all of you. Dumping cats should definitely be illegal! Thank you so much for remembering our sweet Ghost. What beautiful babies. You can tell they were well loved and cherished. I thank all the people and friends here who left condolences to me on behalf of Marigold.